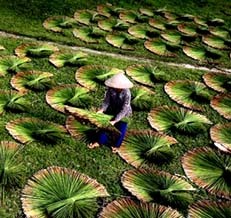 Hanoi, Te Village, Tam Coc, Trang An, Bai Tu Long Bay, Hue, Hoi An. Upon arrival, pick up from airport and transfer to hotel. The night is spent in a comfortable hotel in the Old Quarter. Let's get a feel for some of the history of this lovely country we are in, starting the day with a little sightseeing around Hanoi. The complex dedicated to Vietnam's hero Ho Chi Minh, honoured for his role in liberating Vietnam from colonial rule is where we will start. 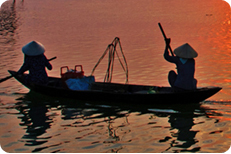 This gives us some insight into Vietnam's recent history. 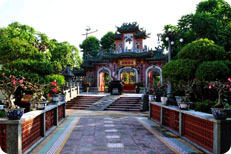 The Temple of Literature, founded in 1070, is our next port of call, this beautiful temple was Vietnam's first University. Let us share dinner together tonight overlooking the city and celebrate our first day on tour. We stay overnight in the same hotel. (Breakfast, lunch and dinner are included). 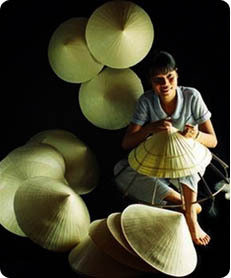 A colourful and comprehensive museum, the Museum of Ethnology is dedicated to Vietnam’s 54 ethnic minority people. We take a beautiful morning walk into the museum. Afternoon is spent in the Old Quarter, we walk through small streets. 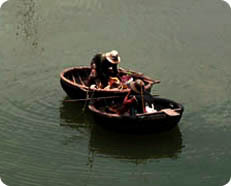 Then we might like to spend some time wandering around Hoan Kiem Lake for some quiet time to watch the world go by. 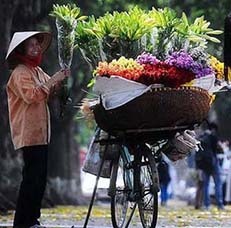 There is plenty of time for exploring Hanoi at your own pace. (Breakfast and lunch are included). 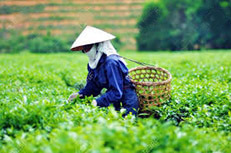 We depart from Hanoi and journey to the Te village. 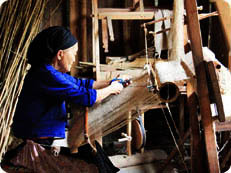 En route we enjoy visits to a local handicraft village where villagers make baskets and objects from rattans and bamboos. 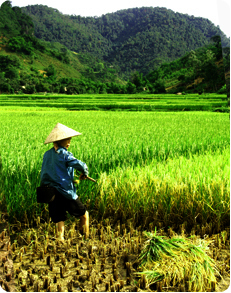 Next, we arrive in Muong Khen, set amongst limestone formations, rice fields and tiny villages which are ideal for walking around and interacting with the local people. We observe spectacular views of the area as we walk along a footpath surrounded by terraces and picturesque hills. 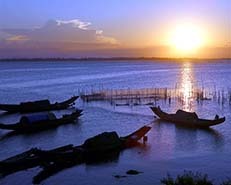 Arriving in the village of Te, we relax in the cool climate, appreciate their local hospitality and culture. The night is spent in the traditional wooden-stilt house of a White Thai family. (Breakfast, lunch and dinner are included). Time for relaxation as we wander around cornfields and rice terraces. Later in the morning we walk to our waiting vehicle and make our way to Tam Coc. En route we explore Trang An. 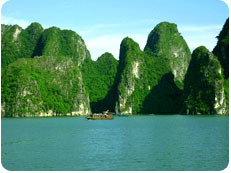 Trang An is famed for its beautiful Inland Halong Bay. 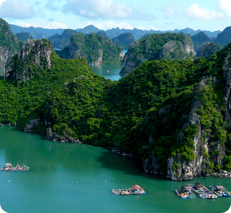 The beautiful twisted rock formations of Trang An is our destination today. We take a boat ride down a charming and peaceful canal. 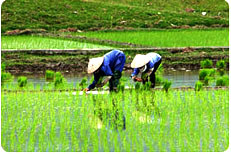 We absorb the daily life and appreciate the warmth and friendliness of the local people. The night is spent in a local family to experience their way of life. (Breakfast, lunch and dinner are included). Morning finds us in Bich Dong – a firm favourite with walkers. 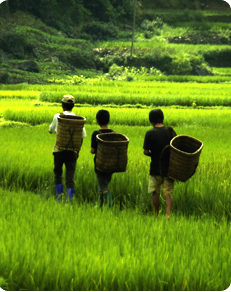 Here, we stroll around open rice fields with stunning rock formations rising up from rice paddies. There is plenty of time for our hands-on cooking demonstrations. 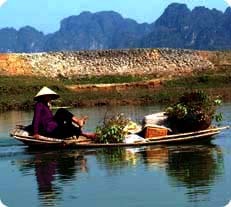 Arriving at the village of Yen Mo in Ninh Binh province we settle in with a local family, picking vegetables from the villagers own bountiful plots, such as fresh basil, mints, corianders, spring onions and other local herbs and learning some family secret ingredients. Together we are taught how to make authentic Vietnamese food, such as succulent spring rolls, zesty dipping sauce and betel leaf-wrapped spring rolls and other local delicacies that typify Northern Vietnamese cooking. We then enjoy the family’s gracious hospitality as they share lunch with us. 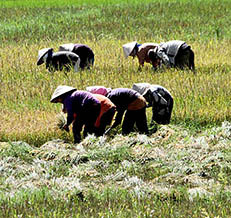 The rest of our afternoon is spent walking around some villages, learning about rice cultivation and its extensive crops. 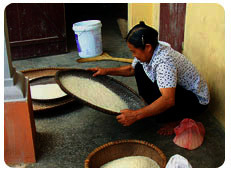 We also observe the various steps required to make home-made rice noodles. Departing Yen Mo we journey to Ha Long City. 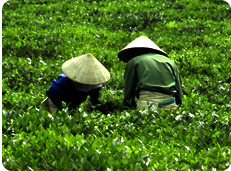 We follow its fertile road through flatlands of the delta flanked by endless green carpets of rice paddies. 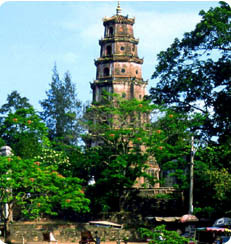 Time permitting we stop at a temple complex in Nam Dinh which is dedicated to the dynasty of Tran. Arriving in Cai Rong Island we embark on a boat trip. This is followed by a delightful kayaking ride among spectacular limestone peaks – time to relax and appreciate the sublime beauty of the bay. 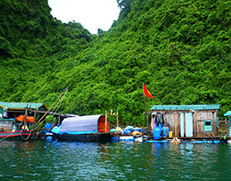 Upon our arrival on Van Don Island we enjoy a short transfer to our family homestay. Here, we get to know the family, then share dinner and enjoy an overnight stay with them. (Breakfast, lunch and dinner are included). Thousands of years in the making, Van Don island, which is located in Bai Tu Long Bay, is a testament to the period when the sea receded leaving the island surrounded by ivory white sand dunes and stunning crescent beaches. 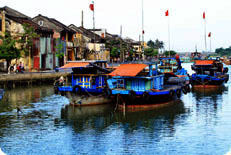 The island also boasts important historical significance, having once been a trading post and an ancient battleground during the Mongol invasion of Vietnam in the 13th century. 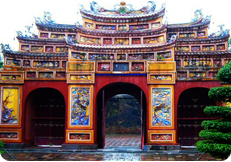 We visit a temple dedicated to Tran Khanh Du, an Army General known as a great military strategist. 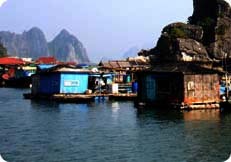 Following that, we enjoy a scenic walk around the village of Son Hao and cycle along the island to explore its northern part, the best way to see all the sights, staying close to the land and it's inhabitants. 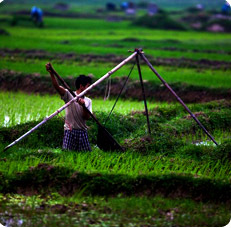 We visit the local people and soak up the village atmosphere and lush farmland, verdant hill surroundings and breathtaking sea views. Weather permitting, there is time to relax and unwind on the pristine beaches. We return to our family for the second night with them. (Breakfast, lunch and dinner are included). 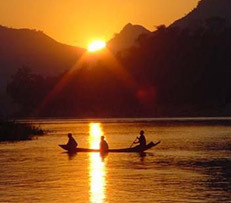 We board our boat to discover the extent of the region's riches. We also enjoy another kayak ride. The return journey follows a different route, allowing us a few hours to appreciate the tranquil beauty only found in Bai Tu Long Bay. We make our way to the airport. 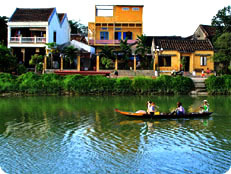 On the way we have a refreshment stop at Dong Trieu, a traditional ceramics village. We arrive at airport for our flight to Hue. 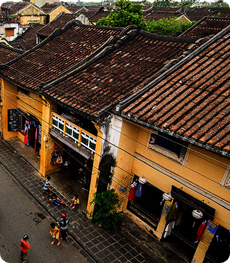 We stay overnight in a charming hotel in Hue. (Breakfast, lunch and dinner are included). Let’s the royal past come to life among the ruins of the Imperial Citadel. We explore the Citadel and we enjoy a boat trip down the Perfume River to the beautiful ThienMu Pagoda. 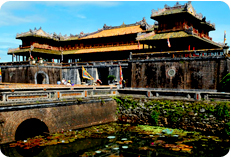 Then we continue our boat ride to visit King Ming Mang and Tu Duc’s tombs. Time permitting we take a small walk to Dong Khanh's tomb. The afternoon is free on your own. (Breakfast and lunch are included). 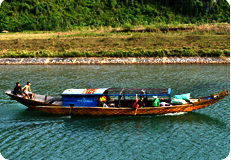 We depart Hue and pass the spectacular Hai Van Pass en route to Hoi An, once a thriving port town. Today, trade remains central to everyday life, with shops offering everything from tailored clothes to custom-made shoes and silk lanterns. Along the way we explore the Cham Museum in Danang, before we land in Hoi An for the night in an elegant hotel. (Breakfast, lunch and dinner are included). 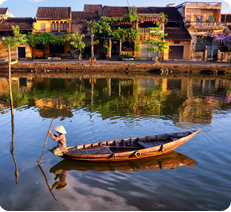 During our stay in Hoi An we visit My Son Temple, the very former capital of the ancient Cham civilization that ruled central Vietnam between the second century and the thirteenth century. 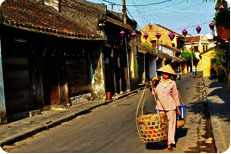 There is something in Hoi An for everyone, from historical architecture to art galleries and excellent shopping. Weather permitting, there is time for us to relax on the beautiful beach. (Breakfast and lunch are included). There is free time for us to relax on the township and beautiful beach. (Breakfast is included). We can depart at any time today. (Breakfast is included). - a 7-10 km walk on Day 4. - a 9-12 km walk on Day 5. - a 1-2 hour kayak ride on Day 7. - a 12-14 km bicycle ride on Day 8. Clean and comfortable homestays with mosquito nets provided. 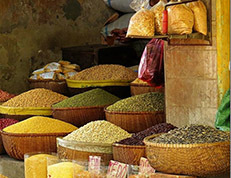 We choose local ingredients, typical of the way people eat in the area, at local restaurants, homes or markets. - $825USD per person for a group of 2 to 7 people. - $769USD per person for a group of 8 to 12 people. - meals listed on the itinerary. - permits during guided excursions. - drinks (soft drinks, alcohol, bottled water). - admission fees during free time. 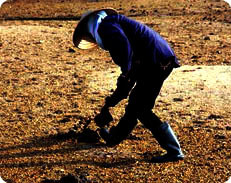 - other personal expenses such as shopping, telephone, laundry and bar bills etc. Pack essentials, including light comfortable clothes suitable for outdoor activities.